Car loans are somewhat of a mystery to many people. Through years of careful marketing we have been programmed to believe that there is some kind of law that says you can only finance a car through a dealership. That is what the dealers want you to think because they make a lot of profit on a car loan. Once you have educated yourself about car loans, you will see that there are other ways to finance a car and, many times, you will be able to get a better interest rate. This lower rate will save you on your monthly car payment and really ad up to a lot of cash over the term of your loan. 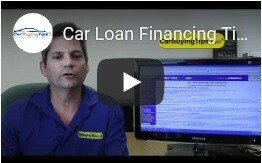 It is extremely important to educate yourself about financing when you are shopping for a car. You must understand that the loan is just another product that the dealership is trying to sell. Don't be fooled into thinking that they are doing you some kind of favor so that you can drive off in a new car. It is in their best interest to charge you as high an interest rate as possible so that they will make a good profit. Beware of the tricks that they will use to make you think you are getting a good deal when you really aren't. You can get better rates from different lending sources before you walk into the dealership. Remember, a great deal can go bad real fast if you get into the wrong financing. The devil is in the details, especially in the F & I office. Do not let your guard down! Jeff, I got ripped off on my interest rate by the dealer! What can I do? Unfortunately, this is a question we get way too many times. Don't just send us an email. Do something about it! Visit LightStream or one of the other online lenders that we recommend such as CARCHEX where you can refinance immediately with lower rates. For more details, visit our auto refinance section. Few people qualify. Estimates show that as few as 7% of you will qualify for those low or no APR rates we see advertised by car manufacturers. Your best bet is to assume you won't qualify and get quotes from the online lenders I will discuss so you are prepared. It is huge mistake trying to buy a new car without checking rates online or knowing if your credit history can support getting approved. A big source of emails I get are from people whose loans fell through at the dealer. This is why it is important to know your credit score before you apply. Remember, the free reports do not include your score. If you have bad credit and are trying to get a loan, read our chapter for people with bad credit. We give you strategies to increase your credit score and your chances for approval. There are many more mistakes that you need to avoid. Read our complete section on the top car financing mistakes to avoid. According to the Consumer Federation of America, car buyers are often overcharged by 3% on their loans at the dealership, which can add more than $1,000 over the life of the loan. The best way to avoid this rip-off is to finance online because these companies tend to have the lowest rates, usually beat dealers and there are no application fees. Get approved in minutes. Remember, multiple quotes gets you the best rate. If you have a good to excellent credit history you can really save money by financing with LightStream. They are the online lending division of SunTrust Bank. They offer extremely low rates on unsecured loans. They cater to customers with good to excellent credit. LightStream is the online lending division of SunTrust Banks Inc. They offer low interest, unsecured loans for highly qualified customers. LightStream can be used to finance your new or used, private party or dealer, car purchase. LightStream offers their unique "Customer Experience Guarantee"
LightStream does not charge any fees or prepayment penalties! Auto Credit Express is designed for people with poor credit. Auto Credit Express requires you to have a monthly income of $1,500 or more and be able to obtain auto insurance. If your credit score is below 650 and you get rejected, don't submit applications. Submit one free application to a bad credit loan site like Auto Credit Express. Don't Get Upside Down on Your Car! Don't go car shopping if you are upside down on your current loan, just grin and bear it. If you do, some dealers will take advantage of this. Just because your payments are lower and you have a 60 month loan instead of 36 months doesn't mean you are saving money. In fact, you are really paying more because now you are deeper in debt and have more payments to make. If you can't put 20% down, then you can't afford the car and you will be upside down. It's crucial before you apply for new car financing, to get your credit balances way below 50% of your credit limit or they lower your credit score. Even if you make your payments on time you can still have a low credit score if balances are too high, you applied for credit recently, or have too many open accounts. This surprises many people. It's a very simple formula, lower score equals higher interest rate. Get your credit report instantly online, it's a must for "The Folder." Remember, you can run your own credit all you want without impacting your score. Also, the credit bureaus treat multiple credit inquiries within a 30 day period as a single inquiry in a &shopping window& while you are looking for a car. If your score is < 550, don't apply until you clean up your credit. What Should Your Credit Score Be For Approval On A New Car Loan? A car dealer shouldn't know more about your FICO Score than you. Get yours now. Dealers like to keep it secret from you so they can charge you higher rates. Get your Credit Score so they can't lie and say your score was low and charge higher APR. This happens all the time. Is your credit score over 680? If not, time to get to work. Credit unions tend to lend you more money at favorable interest rates than dealers. Your credit union can approve you over the phone in minutes, printing your credit report during the call. I have found the online lenders rates often beat credit unions but you should take the lowest rate you can get. If you have equity in your home, and can get home equity loan with no fees you can use it to fund your car purchase. You can usually deduct interest from home equity loans from your taxes, effectively reducing your APR. Even if the interest rate is higher the tax savings make up for it. If you don't know how much you owe your creditors off the top of your head, you have a credit problem. Some finance managers use secret software available only to dealers that generates a "FICO Auto Industry Option score." It's based on your auto buying history, your car payment history, repossessions, etc. If you have no previous auto financing on your credit report, you'll score low even if you have an excellent FICO score. Some lenders don't want to lend money for a car if you have no prior car loan. If the manufacturer offers you additional rebates in exchange for you financing through the manufacturer, then you should take it. Once you have the rebate refinance with an online lender at a lower rate. Even if there is an early payoff penalty you'll often still come out ahead. Click here to compare 0% APR vs. rebates.